Look for the bare necessities, the simple bare necessities. 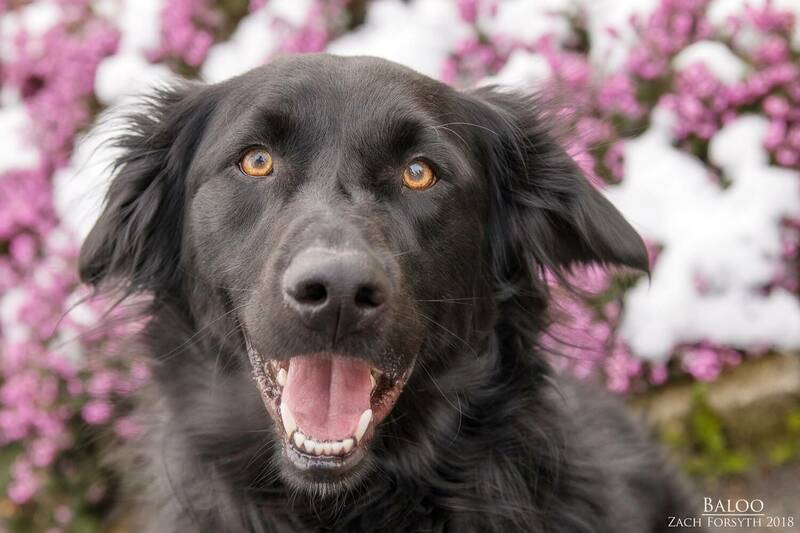 Forget about your worry and your strife!” Swinging from the jungle vines and straight into your heart, my name is Baloo and I am lovable 4 year old Flat Coated Retriever mix! At 60 pounds, I am big oaf whose funny personality can always put a smile on your face. I am happy guy, singing songs about life and playing with my friends, either other pups, and those man-cubs over the age of 10, too! No jungle cats in my home please. But my all time favorite thing to do is play with my toys! Anytime and anywhere, I always down for some ball time. I am a silly, energetic, and a friendly guy looking for my own little jungle to call my own. So forget about all you worries and have a good old time singing along to my tunes! Fill out an application, so we can meet! I come to you neutered, vaccinated, and micro-chipped with an adoption fee of $350.